Local Choirs have just a few days left to submit their entries for the 2019 Mayor of Reading’s Let’s Sing competition. 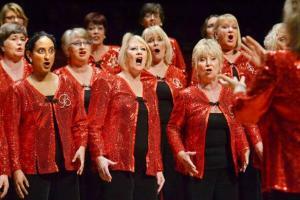 The annual singing contest showcases local amateur choirs from the greater Reading area with the finalists given a chance to perform on the stage of The Hexagon theatre. Choirs have until Monday 4th February to send in their applications to be in with a chance of competing in the final in March. The annual competition is divided into the three categories of Junior Choirs (under 12s), Youth Choirs (under 18s) and Community Choirs.